You don’t get to jump up from No. 29, but it wasn’t a bad night for the Bulls in Wednesday’s NBA Draft Lottery. The New Orleans Hornets hit the jackpot by jumping up from No. 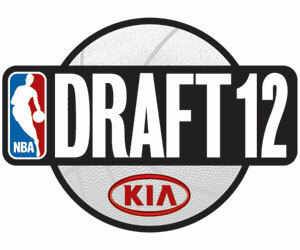 4 and will get the chance to select Chicagoan Anthony Davis, the 6-10 center from the University of Kentucky. Davis is regarded as a potential cross between Kevin Garnett and Marcus Camby, but more so a player you can build a team around. With the Hornets likely to match any offer for guard Eric Gordon, another lottery pick at No. 10 and the ability to do a sign and trade with free agent Chris Kaman, the Hornets have a chance to make a major move in the Western Conference in the coming seasons. The Hornets will continue to try to virtually give away center Emeka Okafor. The big loser was the Charlotte Bobcats, who had the big odds with the poorest record and got the No. 2 pick. There are potential high level players after Davis, but no one of that talent level. It thus makes the potential Charlotte 2016 first round unprotected pick the Bulls hold from the Tyrus Thomas deal as more valuable. Plus, the high level talent of Davis lands in the Western Conference. The Bulls may get the pick the next time the Bobcats make the playoffs. The pick is protected through the top 12 in 2013, top 10 in 2014 and top eight in 2015. If the Bulls don’t get the pick by then, it’s unprotected in 2016. The Wizards have the No. 3 pick in this summer’s draft. The Cavs were the only team to fall, to No. 4, while the Warriors get to keep their pick as it remained at No. 7 while the Nets lost their No. 6 pick to Portland in the head scratching Gerald Wallace trade. That could affect the Nets’ ability to put together a trade for Dwight Howard and retain Deron Williams. The Hornets with a second lottery pick at No. 10 could also be open to trading that pick for a veteran given they will have Davis to develop. New Orleans had been owned by the league and recently sold to the owner of the NFL Saints after losing Chris Paul in trade before this season. The Cavs last season ended up with the No. 1 pick, similarly, after also losing an all-league player in LeBron James. 1. New Orleans – Anthony Davis, Kentucky. The only player in the draft you can build around. Gives them a chance with retaining Eric Gordon to move into the playoffs. 2. Charlotte – Michael Kidd-Gilchrist, Kentucky. Michael Jordan is spending a lot of time losing these days. This one was brutal. You figure Jordan will want someone athletic like he was and maybe an athletic combo like he was with Scottie Pippen. Would there be pressure for the North Carolina guy, Harrison Barnes? 3. Washington – Thomas Robinson, Kansas. The knucklehead era is over. They’ll be small with Nene at center. But Robinson’s a solid citizen, hard worker who’ll rebound and compete and help improve the chemistry. 4. Cleveland – Jeremy Lamb, Connecticut. A shooter to go along with rookie of the year Kyrie Irving. If Tristan Thompson develops they might have something going. 5. Sacramento – Harrison Barnes, North Carolina. They’ve been looking for a three maybe since Shareef Abdur-Rahim. He’s been picked apart by scouts, but he should be as good as Luol Deng. 6. Portland (from Brooklyn) – Andre Drummond, Connecticut. Do they dare? He’s a highly regarded, if raw, center. Would he be afraid of the center curse there. They’re rebuilding, so why not? 7. Golden State – Kendall Marshall, North Carolina. He’s a guy compared to Mark Jackson. A natural pick? But they can’t trust Stephen Curry’s ankle or that Curry is even a point guard. And now they have a center who needs the ball. 8. Toronto – Jared Sullinger, Ohio State. They’ve got a bunch of power forwards. Sort of, but still no one to rebound. He’s criticized for lack of explosive ability. But he’s a player and they need them. But do they know that? 9. Detroit – Perry Jones, Baylor. I’ve got Bradley Beal, top five on many lists, falling because of his Eric Gordon type size. The Pistons need size and something special, and he could be that while being a Tyrus Thomas type risk. 10. New Orleans (from Minnesota) – Austin Rivers, Duke. I think he’s underrated and overanalyzed given his name. He can handle the ball and score and though a small backcourt with Eric Gordon they could be impressive with Davis to protect their back. 11. Portland – Bradley Beal, Florida. The next Paul Pierce, a top guy who fell in the draft and is on the way to the Hall of Fame? The Jamal Crawford experiment didn’t work and he likely will opt out. 12. Milwaukee – Tyler Zeller, North Carolina. They desperately need some size now with Andrew Bogut gone. More a faceup player and thin, but with size. 13. Phoenix – Damian Lillard, Weber State. This is the year they have to begin to replace Steve Nash. They supposedly still want to bring back Aaron Brooks, but they are big shoes to fill. 14. Houston – Meyers Leonard, Illinois. Maybe not the big man they’ve been looking for, but a decent prospect with room to improve and with size. 15. Philadelphia – Andrew Nicholson, St. Bonaventure. A Doug Collins kind of move like when he went deep to get Theo Ratliff. He’s the more mature power forward type whom Collins will like. 16. Houston (from New York) – Terrence Ross, Washington. They have shooting guards, but he’ll make the move of Kevin Martin much easier. Ross is a somewhat undervalued shooting guard. 17. Dallas – Terrence Jones, Kentucky. A versatile player with good all around small forward skills and size. 18. Minnesota (from Utah) – Dion Waiters, Syracuse. Wes Johnson can’t seem to develop into what they need and want as a shooter. Waiters could deliver the appetizer. 19. Orlando – Marquis Teague, Kentucky. They need about everything, and it’s hard to say whom Dwight Howard wants. But they’ll start with a point guard in starting over. 20. Denver – John Henson, North Carolina. A big guy some believe will go higher, though his position and strength remain NBA questions. 21. Boston – Royce White, Iowa State. One of the more intriguing prospects with great skills and size at small forward, but interesting issues for an NBA player like a fear of flying. They like to take chances. 22. Boston (from Clippers) – John Jenkins, Vanderbilt. Likely not bringing back Ray Allen and if there’s no other Allen he’s a mature shooting guard with a good touch. 23. Atlanta – Arnett Moultrie, Mississippi State. Developing power forward type player with small forward skills who is an intriguing prospect. 24. Cleveland (from Lakers) – Jeffery Taylor, Vanderbilt. Senior player with good skills for small forward position. Overall good defender, though uncertainties about ball handling drop him some. 25. Memphis – Will Barton, Memphis. Local guy they’ll know well. Many regard as a second rounder given he’s so thin, but skilled and worth a shot. 26. Indiana – Doron Lamb, Kentucky. Bonzi Wells sort of shooting guard in that he’s not a pure shooter but a scorer. They eventually want to move Paul George to small forward and perhaps deal Danny Granger. 27. Miami – Tony Wroten, Washington. I’m probably doing the Heat a favor dropping this combo point guard this far. He’ll move up as the draft comes closer and could be on the edge of the lottery. 28. Oklahoma City – Moe Harkless, St. Johns. Nice prospect with small forward skills who could move in as a rotation type player for a good team before long. Can also play some power forward. 29. Chicago – Quincy Miller, Baylor. Had ACL, so he can advise Derrick Rose. Well, maybe not. A highly regarded athlete who is a bit on the thin side but with long arms and the ability to score, which makes for taking a chance at the bottom of the first round. 30. Golden State (from Spurs) – Draymond Green, Michigan State. Smallish power forward who is a good team guy. Not a big time athlete, but someone who can move in and play a role for a second team.